Only moved a few miles down to Alrewas. The village name comes from the Alder trees that once lined the waterways here. 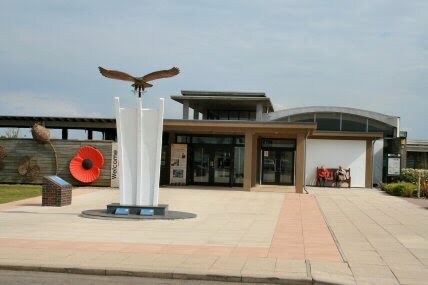 To find out exactly where the National Memorial Arboretum was I took a walk into the village and asked at the Co-op. The village is full of interesting buildings. 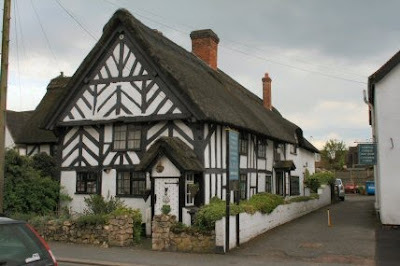 Thatched or tiled and with extensions built but many still show the ancient frames. 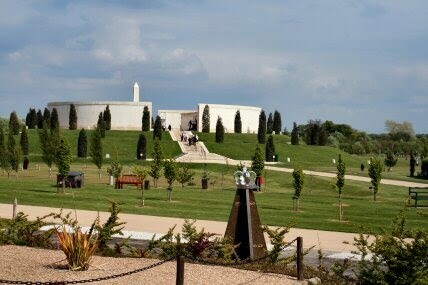 The National Memorial Arboretum was conceived as a living tribute to the war time generations of the twentieth century and as a gift to their memory for future generations to reflect upon and enjoy. 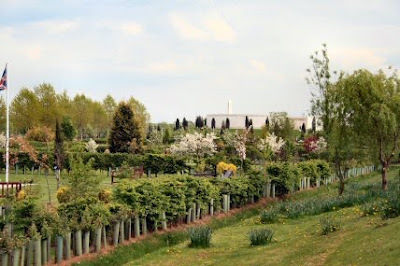 The Arboretum is about a mile and half from the canal. It is best if you have a bike as some of the walk is along a busy road. 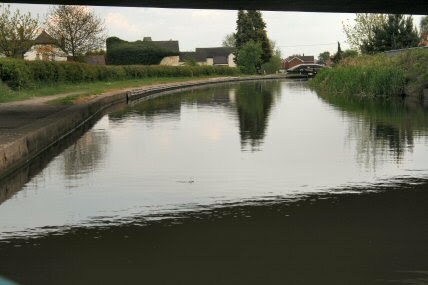 Moored up at Bridge 49a you can walk to the nearby lock and up to the main road. Follow it for three roundabouts and the Arboretum is signposted left. It is set in 150 acres with over 160 different memorials to the various forces and civilian organisations. 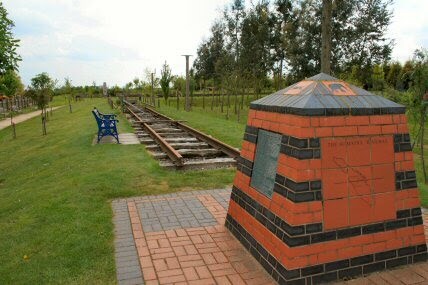 Outside the Far East POW centre there is a section of railway as a memorial to the POWs that worked on the railway building in Sumatra. 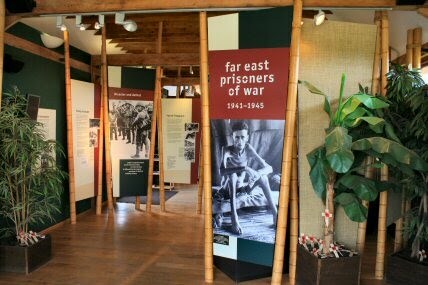 Far East POW centre. Full of interest and horror. 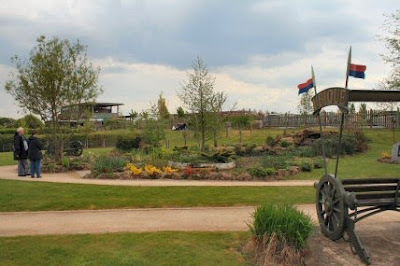 The centre of the arboretum. Back to the boat and moored right nest to the A153.